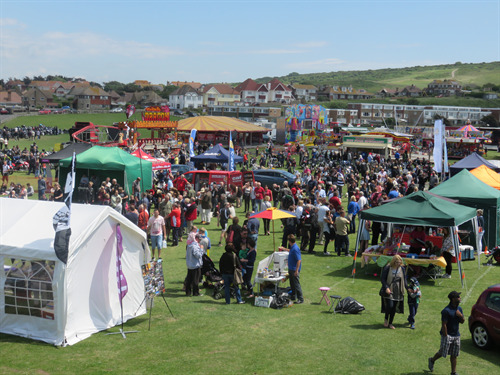 Seaford boasts a variety of fantastic open spaces which are available for hire. Please see below for information on how to apply to hire an open space, what open spaces are available for hire and hire charges for 2017. To check venue availability, please check the Upcoming Events page. Once you have checked the space is available for hire, please complete the Application and Hire Conditions Form and return this to facilities@seafordtowncouncil.gov.uk or by post to 37 Church Street, Seaford, BN25 1HG with a 15% deposit of the Hire Charges as outlined below. Once this has been received, with all documentation as outlined in the application form, you will receive confirmation of your hire agreement. The Martello East Field is approximately 30,000 m2, and enjoys fantastic views across Seaford Head Golf Course, Seaford promenade, the Martello Tower and Corsica Hall. The field can be hired in conjunction with the Martello West Field. The Martello Fields have public toilets and a kiosk conveniently situated directly next to the fields on the promenade. The East Field is perfect for larger events. The Martello West Field is approximtely 16,500 m2, and as with Martello East Field, it enjoys fantastic views accross Seaford Head Golf Course, Seaford promenade, the Martello Tower and Corsica Hall. The field can be hired in conjunction with the Martello East Field. 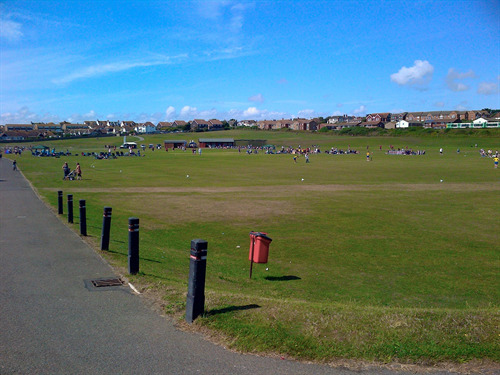 The Martello Fields have public toilets and a kiosk conveniently situated directly next to the fields on the promenade. The West Field is perfect for community events such as Boot Fairs. The Crouch Ornamental Gardens provide a beautiful back drop to a variety of events, and lend themselves to open air theatre productions due to the great acoustics. The Crouch Ornamental Gardens provide roughly 220 m2, and have access to private toilets, and nearby public parking facilities. The Crouch also has access to the Crouch Bowling Club Pavillion, and Seaford Town Football Club. Seaford Town Football club can provide a fantastic indoor venue and bar, making the Crouch a great all round venue option. 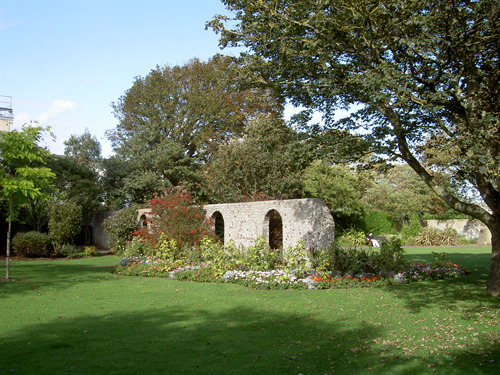 The Crouch Gardens also hosts the Pitch, which is roughly 420 m2, and as with the Ornamental Gardens has access to private toilets, and nearby public car parking facilities. The Crouch also has access to the Crouch Bowling Club Pavilion, and Seaford Town Football Club. Seaford Town Football Club can provide a fantastic indoor venue and bar, making the Crouch a great all round venue option. 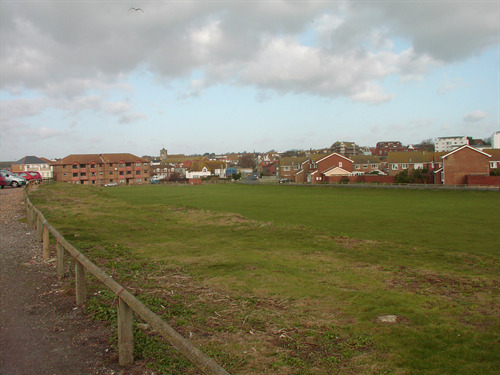 The Salts Recreation Ground boasts the largest open space available for hire in Seaford at approximately 37,500 m2, with public toilet facilities, cafe, tennis courts, play area, outside gym, skate park as well as a basketball area. The Salts also has a Scout Hut and Cricket Pavilion as well as Seaford Rugby Club which is available for hire through SRFC with its own indoor hall, bar and kitchen. The Salts is directly next to the train line and seafront with extensive parking. Located at the top of Seaford Head Nature Reserve, South Hill Barn provides unspoilt views accross the Seven Sisters and the English Channel. South Hill Barn can be hired for use of the Courtyard (approximately 300 m2) by arrangement and green spaces (approximately 1,200 m2). Stretching from Splash Point to Seaford and Newhaven Sailing Club, the promenade hosts stunning views accross Seaford Bay. A flat fee of £42 is charged for use of the promenade. For any further information regarding the booking process or the available venues, please contact the Council directly on 01323 872975 or by email to facilities@seafordtowncouncil.gov.uk.